Starring: : Aamir Khan, Kareena Kapoor, R Madhavan, Sharman Joshi, Boman Irani. Buckle up audience and get ready to be entertained, as the brilliant mind behind the Munnabhai Series (Rajkumar Hirani) and Mr. Perfectionist (Aamir Khan) are coming together for the first time. The marketing strategies followed have hit the right chord, especially the ‘alternate reality gaming’ which has become quite a rage. Will the sky rocketing expectation of the most awaited movie of the year be met? Can Mr. Perfectionist give his second Christmas blockbuster in a row? 3 Idiots does prove a worthy follow-up to the Munnabhai series for the Vinod Chopra- Rajkumar Hirani duo, and a sure-shot extension to the successful streak of Aamir Khan. This might not be ‘5 point someone’ as Hirani promised, but it has all the ingredients to be ‘Munnabhai 3’ with several sequences, reminding us the classic tale of Laxmi Prasad Sharma. The story is about two friends Farhan (Madhavan) and Raju (Sharman) who on getting a clue on the whereabouts of their college friend, Rancho (Aamir), start a quest to find him. Rancho in his college days was an exceptional, but curious kid, who questions the way education has been taught. His two best friends Farhan and Raju follow his ideals half-heartedly, only to come under the bad books of the dean Viru Sahastrabudhhe (Boman Irani). To everyone’s amazement, amidst his crankiness and naughty college mischief, Rancho always comes first in his exams. His exemplary friendship, love and naughtiness make him a hero amongst his friends and also to the daughter of Viru Sahastrabudhhe, Pia (Kareena Kapoor). Rancho helps his friends to achieve what they dream of, but disappears mysteriously after getting his degree. Why does Rancho run away? What’s behind the mystery? Will Pia get Rancho? Will the two idiots find the third? Find out in a theatre near you. The movie is a joyful ride from start to finish with the pace tilting downwards only in the middle of the second half. Few good twists and the non-linear style of storytelling help the proceedings in a big way too. But Rajkumar Hirani borrows most of his jokes from the net and also does go filmy in a few scenes like the Sharman interview sequence or Aamir crying for every little thing that his friend does, or the scene where Mona Singh is having a baby and the scene after that. But scenes like the speech by Omi for teacher’s day, or the first time Rancho visits Raju’s house or Mona singh’s marriage, helps in bringing down the entire theatre with laughter. Every single person behind the camera has enjoyed what they have done and that shows clearly in the final product. Whether it is the DOP C.K.Muraleedharan, or the music director Shantanu Moitra, or the editor Ranjeet Bahadur or Dialogue writer Abhijit Joshi (the last two sharing their credits with the director), all have done a spectacular job. Initially, getting to believe Madhavan or Aamir as College students might be quite tough, but as the screenplay moves, we just start enjoying the movie and their acting. 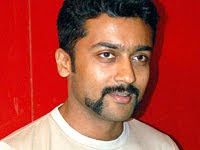 Aamir Khan is spectacular as Rancho and age aside, we can’t think of a better Rancho after seeing the movie. Madhavan might not be looking as a college student but he brings a new dimension to his acting repertoire - a brilliant act. Sharman shows his excellence in a role which seems to be written for him. Kareena looks cute and does her role with equal cuteness. Boman Irani is brilliant, but what’s new in it? Mona Singh is good in a small part. The actor enacting the role Omi is easily the find of the season; he is exceptional in almost all his scenes and is a riot to watch. It’s been quite a while since we saw the entire theatre clapping, laughing aloud and whistling with you. It’s a complete theatre going experience. 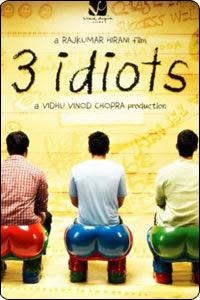 3 Idiots is easily going to be the number one movie for quite a while at the box-office and can very well be the number one movie of the year. Hirani manages to give an excellent entertainer with a subtle message one more time.